MPE/iX runs on the PA-RISC 3000s starting with the 930 in 1987. Two 670MB HP-IB hard discs are required to hold the operating system for MPE/iX 5.0 and above. 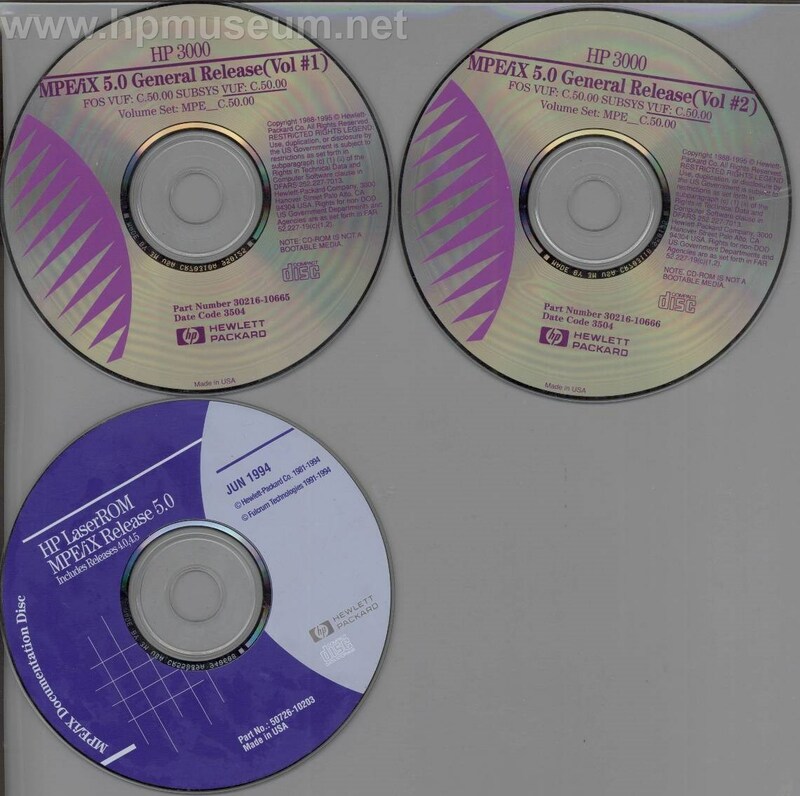 This software consists of two images of the C2203A disc drive. It contains the full FOS and SUBSYS for MPE/iX 5.0. These images will work with 9X8, 9X7 and earlier models of the PA-RISC 3000s. If you are using a 9X7 or 9X8 computer, it will need to have a CIO HP-IB interface (not the HP-PB HP-IB interface that fits in the 3000, but only works in the 9000/800 computers). The earlier vesrions of the 3000 all come standard with the CIO HP-IB interface. After connecting your PCs to the 3000 and loading the images, turn on the 3000 and boot from the HP-IB path that leads to the image at HP-IB address 0 - your first PC (eg boot path 4.0.0 or 16.0.0). These images were created on a 9X7 computer. If you are using an earlier computer, you will need to reconfigure your sysgen file in MPE. The software maintenance manual explains how to do this, but it is incomplete and very confusing. The document Configuring MPE found here will make the process a lot easier.